Since Labor Day is a national holiday that leaves many businesses closed, Online Stores, Inc.’s management wanted to do something fun for the employees before the long weekend. 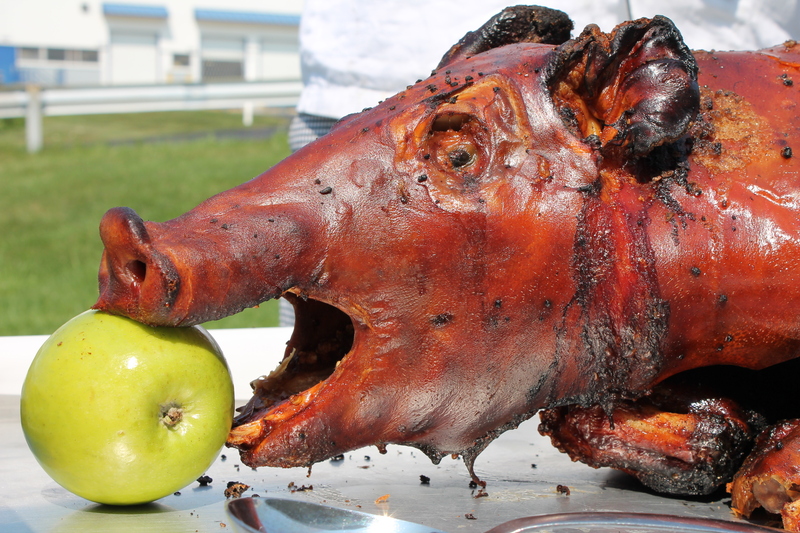 On Friday, August 31, 2012, Online Stores hosted their first pig roast and luau for employees! Many employees dressed in their best Hawaiian outfits and hula-danced their way down to the grassy area outside of the building to feast on the beast. The catering company that serves the monthly employee appreciation lunches, K-Vay’s, provided the pig and the rest of the food. Lunch included fruit, vegetables, chicken, rice, cornbread, cake, pink lemonade and, of course, pork. In addition to food, employees were able to choose a brightly colored lei to wear to complete the Hawaiian look. People enjoyed the food, the company and the beautiful weather that day. For pictures of the event, visit our HR Facebook Page.